From design, fabrication, & controls, to installation, training & service - Complete Filtration Systems will deliver for you. When it comes to filtration systems, today’s food, beverage, and dairy processors need a supplier who is experienced in the full spectrum of membrane filtration...one who is already established in your industry, is innovative, yet cost effective...a supplier who can be trusted to handle the entire project. 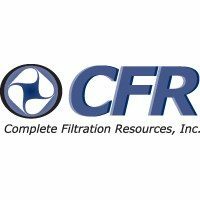 Complete Filtration Resources is the supplier who works within your budget & time constraints to deliver the membrane filtration equipment that your plant need.